IRELAND AND MUNSTER Rugby legend Peter Clohessy has announced that his bar on Limerick’s Howley’s Quay is to close. It is believed that over 50 staff will be affected by the closure, which will also see the Sin Bin nightclub close. 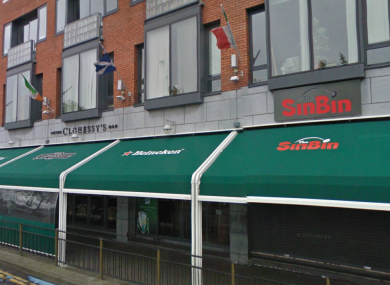 The neighbouring bar, Small Claws, will remain open, as will Clohessy’s restaurant Crokers. The bar had been open for the last 13 years and had become a popular spot in Limerick for watching sport, particularly rugby. The legendary prop, nicknamed “The Claw”, told the Limerick Leader last year that a redevelopment of the quays had “crucified” the business. The delayed redevelopment impeded access to the pub for over a year. In a notice posted in the window of the pub, Clohessy thanked his customers for their support over the last 13 years. Email “After 13 years, Peter Clohessy's bar in Limerick is closing”. Feedback on “After 13 years, Peter Clohessy's bar in Limerick is closing”.